Women have, historically, been short-changed in divorces. A familiar pattern was that of a wife who supported her husband as he worked his way through law school or medical school by taking low-wage jobs with little opportunity, believing she was helping invest in their collective future. Once the marriage dissolved, though, the husband walked away with the fruits of their human capital. The law professor who makes this assertion doesn’t make any attempt to explain why most divorce lawsuits are filed by women (see the classic Brinig and Allen paper referenced in “Causes of Divorce” as well as this statistical study of a Massachusetts courthouse where 72 percent of the cases were filed by women). Greenspun also points out that the other expert is wrong about divorce law. Family law is not complicated, but even experts get it wrong. I do not know whether these experts are stupid, or are blinded by ideology and self-interest. I started this blog with a belief that the family (and juvenile dependency) court system could not really be as bad as it appears. Then I believed that the system would be reformed, if only the public understood how screwed up it was. Then I thought that at least it would be useful to document my own experience, so others can be alert to the pitfalls. I don't think that I persuaded anyone. I heard from lots of people who had their own bad experiences, and who appreciated the blog to get the bigger picture. So I am happy to leave this blog up, in case it helps anyone. Donald Trump was elected because, in part, the public wised up to the fact that the powerful and influential elites were lying to us about trade, immigration, Islam, police work, foreign wars, and many other topics. They also lie about marriage and parental rights, but that is too sensitive for even Trump to address. Take the red pill. Our society is destroying the family. Find out how it works before you get married or have a kid. I have posted before how California law has been interpreted to shelter CPS (Child Protective Services) from public scrutiny. Sometimes they even try to restrict a parent from showing legal accusations to his own attorney. The state therefore got a court order that barred the newspaper from publishing “any information obtained from the filed verified complaint,” as well as ordering the newspaper “to remove from any publication source any documents if already printed or distributed.” And there is also a related statute, which criminalizes “encourag[ing] the release of the contents” of such records and reports (and which might presumably apply to any request by the reporter that the mother let him copy the complaint). But it’s not clear that the government may get a court order blocking publication even of an illegally solicited document — the prior restraint doctrine, which presumptively forbids injunctions against publication, is generally very strong. And beyond that, I don’t think that the government can just flatly ban the targets of government action from going to the media with complaints about such government action. If the government wants to take away your liberty, your property or your children, and you think this action is unjust, you should have the right to blow the whistle, and appeal to those who are ultimately in charge of the government, and in whose name the government acts — your fellow citizens. The legal briefs on the free speech issue are also sealed, and unavailable. I think Volokh is correct that CPS confidentiality laws are contrary to established interpretation of the First Amendment and maybe some other amendments as well. There is no reason to respect an unconstitutional court order or the court that issued it. I am a lawyer in NJ, and the Family Courts in NJ routinely trample First Amendment rights, often closing the entire courtroom in many case involving children, whether DYFS (whose name has changed) is involved or not. Even when DYFS is involved, I am not convinced the statute requiring all records to be sealed, initials to be used and the courthouse closed is constitutional. The general reason given is "best interests of the child," a general, non-descript catch-all phrase that is used to justify almost anything in Family Court. Volokh removed links to the brief, even tho he says that the order sealing them is unconstitutional. In short, Abbott, Patrick, et al are trying to look tough on the issue of child safety while doggedly refusing to do the one thing that’s unquestionably required to do a better job of protecting children at risk – pay caseworkers more. No, paying caseworkers more will not help. 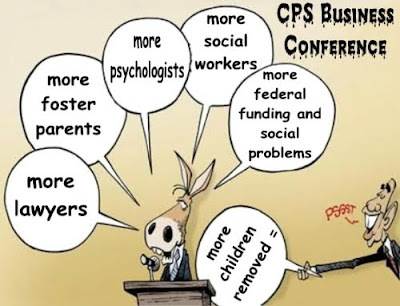 I don't know about Texas, but California CPS (child protective services) workers are extremely well paid. They have 6-figure salaries, and seem to have a lot of excess time on their hands. The more they make, the worse job they do. 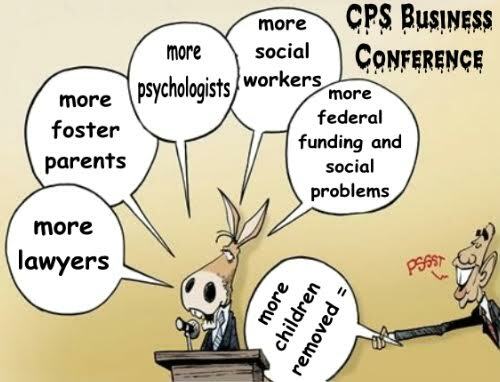 No, a much better approach would be to keep cutting CPS funding until they focus only on what is necessary. Readers discuss the critical role that fathers play in parenting and what steps should be taken to remove stigmas and promote equity. 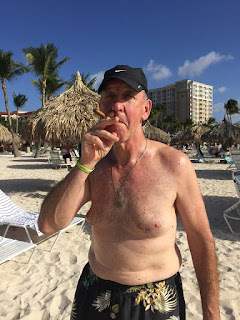 While Mr. Shedlin makes constructive suggestions about engaging fathers in the care and challenges of rearing children, in my pediatric practice I have encountered fathers who appear in my office in the days or weeks before custody decisions, claiming that they would like endorsement for their becoming active participants in their children’s lives. In child custody decisions, the best interests of children are served by continuing, stable, previously demonstrated caregiving, not by experimenting in potential benefits to fathers’ self-images and enrichment. There is no prescribed formula for good parenting. Custody decisions should be made based on the facts at hand. If "There is no prescribed formula for good parenting", then there is no basis for saying that any parent is better than any other. If parents are divorcing, then continuing the previous arrangement is impossible. Everyone wants decisions based on the facts, but she is the one refusing to endorse fathers "becoming active participants in their children’s lives." 1) Encourage men to enter professions involving early childhood, health and caregiving heretofore seen as women’s professions. 2) Teach all children about the importance and value of being caregivers. 3) In child custody decisions, keep the best interest of the child foremost, even if it challenges the assumptions that traditionally favor mothers. 4) Pass a national policy guaranteeing paid leave of equal length for mothers and fathers after a birth or adoption. I guess these changes would be good for fathers, so you probably expect me to endorse them. This is a leftist vision. It denies human nature. It uses social policy to try to change peoples' preferences. It tries to use education to brainwash the next generation. It uses buzz phrases like BIOTCh to enforce authoritarian control over families, and over businesses. It pushes "equality" to silly extremes, such as treating birth the same as adoption. We are not interested in pitting the needs of mothers against the needs of fathers. Rather, we want to move toward a country where everyone, regardless of gender identity or sexual orientation, is able to choose and define their own roles within the family – without discriminatory policies or restrictive cultural norms holding them back. Fathers’ and men’s increased care-work contributions bring such broad benefits for a simple reason, and it is not because the caregiving realm will be any better managed by men than women, or because men have superior abilities. Rather, men’s caregiving contributions stand to create broad personal and social benefits precisely because they open more spaces for parents of all genders to pursue full, uninhibited personal and professional lives. In other words, these contributions advance gender justice. The pursuit of gender justice is not a zero-sum game whereby gains for women mean losses for men, or vice versa. Indeed, true gender justice is an abundant and self-perpetuating resource, offering benefits and expanded opportunities to all members of society. Got that? The ultimate goal is not happiness, or productive citizens, or personal freedom, or family autonomy, or respect for traditions, or research-based child-rearing, or Christian ideals, or anything like that. The ultimate goal is "gender equity", and "pursuit of gender justice". 1. Women are naturally and instinctively inclined toward child care. 2. Men doing child care are always under suspicion of being perverts. I am under unfair suspicions of enuf things already, I do not wish to add pervert to the list. Perhaps they dispute the human nature differences between men and women, but they are backed by every scientific study and by the cultural norms of every successful society. You can see it in 3-year-old girls playing with dolls, and boys refusing. The report does not suggest using scientific research to see what works best, or letting people choose on their own. They demand gender equity, at whatever cost. One of the NY Times letters praised a father for bringing cakes to school parties! I suppose a gender equity proponent would try to make sure that the school cakes are brought equally by moms and dads, and also equally by LGBT figures, if that makes any sense. I have posted many times for equally shared parenting, but I am afraid that the movement has been taken over by crazy leftists. In my view, parents should have the freedom and autonomy to rear their kids as they wish. The law should protect those rights, and to protect the customs that have worked well for centuries. Maybe that means that the dad would rather earn the money to pay for the cake and the mom would rather bring the cake to the school party. Any attempt to equalize those roles is crazy. Also crazy is any attempt to give the mom custody of the child just because she has been bringing the cakes. In a free society, human nature will induce dads and moms to take different roles. Recognition of human nature differences between men and women sometimes goes over the name of red pill. I see that there is a forthcoming amateur movie title The Red Pill, with interviews of prominent men's rights advocates and others. Filmmaker Cassie Jaye delves headfirst into the mysterious and polarizing world of the Men’s Rights Movement. The Red Pill takes a magnifying glass to today’s ‘gender war’ and raises questions about what needs to be done in order to achieve true gender equality. This is a misuse of the term "red pill". The term red pill is usually means facing reality that everyone ignores. It means waking up. But this movie is about politics, not human nature, and half the interviews are with women and feminists. It probably does give a good introduction to men's rights issues, but the premise is that we ought "to achieve true gender equality." No, wanting to achieve true gender equality is blue pill, not red pill. True gender equality is neither possible nor desirable. 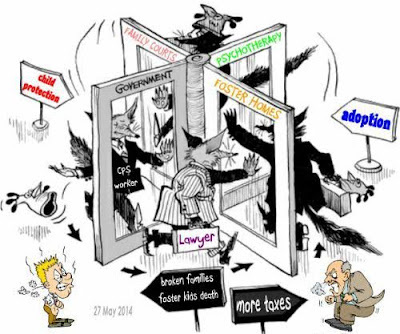 My arguments for shared parenting are that kids need the different influences from dads and moms, that it preserves parental rights, that it shelters the family from oppressive govt control, and that anything else seriously undermines marriage. I don't hear anything else making these arguments. Apparently most political organizations eventually get taken over by leftists, and they have discovered that the best way to get their demands is to keep shouting "equality" over and over. Count me out. I want to live in a society where men are men, and women are women. The happiest and most well-adjusted families are those where the dad is the authority on important matters, and the mom does most of the child care. This is the reality for Britain's growing legion of 50/50 mothers, who divide their time with the children equally with their exes. It's a growing phenomenon that - on the surface - might seem the fairest way for separated parents to organise their lives. But it comes at an emotional price for the mothers involved - and the consequences for children are as yet untold. Veronica Sweeney-Bird is one such mother who wishes more than anything that her two little girls were having a more relaxed, stable childhood. Instead, every other Thursday, she drops one off at nursery and one at primary school, full of foreboding as she kisses them goodbye. A week-on, week-off shared care arrangement with her ex-husband is the high price Veronica has to pay for her broken marriage. And two years on from the split, she still struggles to cope with the moment she says goodbye to her girls for seven long days. 'I so hate being a 50/50 mother,' says the 33-year-old bar worker from Tunbridge Wells, who was married for seven years. 'When it's not my week to have the children, I have to try to switch off from being a mum and it's so very hard. So what do they want? No-fault divorce, full child custody rights, alimony, child support, public respectability, and what else? Maybe some free government day care services as well?